AMCN President. Dr. Boutjdir is a Professor at the Department of Medicine at NYU School of Medicine and a Professor and Associate Chair of Medicine for R&D at the Departments of Medicine, Cell Biology and Pharmacology & Physiology at SUNY Downstate Medical Center, New York. He is also, the Director of the Cardiovascular Research Program at the VA New York Harbor healthcare system, New York. Dr. Boutjdir’s interest is in cardiovascular research both in health and diseased states. Specifically, Dr. Boutjdir’s research includes the mechanisms of autoimmune associated congenital heart block, atrial fibrillation and long QT syndrome. Dr. Boutjdir serves in several review boards for cardiovascular study sections for many granting institutions such as the National Institutes of Health, the American Heart Association both local and National Centers, the Veterans Administration, March of Dimes and the French “Agence Nationale de la Recherche”. 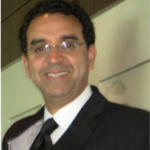 Dr. Boutjdir also serves as a reviewer for many National and European high impact journals and is an active member of several journal editorial boards. He has been invited throughout the world to lecture and present seminars in the area of cardiovascular research. To date, he has published over 85 peer-reviewed manuscripts and book chapters. Dr. Boutjdir, in addition to being an academic, has extensive leadership, management and administrative experiences in a range of organizational contexts. In most of these, he had the responsibility for strategic as well as operational planning, working with Senior Executive Management team such as the Deans of Medical Schools (NYU and SUNY Downstate @ New York), Hospital CEOs and Clinical Service Chiefs. He has lead and managed a group of more than 300 investigators/researchers, clinical, translational and basic scientist and managed a research budget of more than $15 Million. Dr. Boutjdir worked on providing support and promoted research and scholarly activity through building new directions in research, establishing centers of excellence, ensuring responsible research practices, and communicating the value of research within and beyond the institution. He provided expertise and support to faculty and staff in the commercialization of the intellectual property and help bring these new ideas to the marketplace. Volunteer Work: For the last 20 years, Dr. Boutjdir has been involved in volunteer work related to the engagement of the Diaspora in the development of the country of origin. He contributed and participated to the initiation of the “Arab Expatriate Scientists founding conference, IQ 2006” in Doha, Qatar and the “First conference of Arab expatriate scientists: QFIRST 2007” as well as several similar initiatives in the United Arab Emirates and Morocco between 1990’s and 2012. During the two invitations by her Highness Sheikha Mozah bint Nasser Al Missned to visit Doha, Qatar, Dr. Boutjdir worked along the sides of Dr. Harold Varmus and Dr Elias Zarhouni (two former Directors of NIH and one Nobel prize laureate) and many others to contribute to the process of establishing the R&D structure and reverse-brain drain to attract the best talent to Qatar. More recently, he participated at the Canadian-Moroccan Competencies Forum held in Rabat in April 2011, the first Moroccan Medical Professionals conference held in Paris in May 2011 and co-organized the Preparatory Forum for the American Moroccan Competencies Network held in New York City on June 23rd 2012. Dr. Boutjdir has been selected among a few to be a member of the Science and Technology team of the World Economic Forum. He actively participated in the first World Economic Forum on Science and Technology in the Middle East and Africa (MENA) held in Amman, Jordan, 2009 and subsequently, the World Economic Forum Education Summit held in Marrakech, Morocco, 2010. More recently (December 2012), Dr. Boutjdir joined the Arab League-SASTA conference on Science and Technology under the theme “When Arab Minds Meet” in Cairo, Egypt with the aim to mobilize the Arab Diaspora’s positive involvement in their home lands. Currently he is the vice-President of SASTA (Society of Advancement of Science and Technology in the Arab World: www.sastaworld.org). Dr Boutjdir also serves on the board of Directors for the High Council of Moroccan American Scholars and Academics (AHA-MASA:www.hc-masa.org). Dr Boutjdir was elected for 2 terms as President of one of the very first association of moroccan’s in the US, MARS (Moroccan Association for Researchers and Scholars). MARS theme was “We believe in Revival Through Knowledge”. Finally, Dr. Boutjdir was distinguished and honored to have been knighted in 2002 by His Majesty, the King of Morocco, Mohamed VI at the level of Wissam Al Arch min Darajat Fariss (the order of the Throne, Grade Chevalier de L’Ordre du Trone).